I've been listing a bunch of stuff on Ebay. I did a handful of things before Christmas and am did more this past week. Just to clear out the closet of things that are of actual value but will never realistically be worn by me. Things that are either too small (you know...bought on sale with the wish and prayer I would one day fit them) or too big (bought online only to find they oddly don't fit as you planned). Even though I got burned BIG BIG HUGE time both before Christmas and now in selling a bag (the same damn bag...which I've concluded has bad karma), I love getting rid of things that deserve to be worn instead of looked at. I love the last 24 hours of a sale. People swoop in and outbid each other by pennies. It cracks me up. I did awesome my first year using coupons. Then last year I was just not into it. I would go months without clipping a single coupon. But this year, while I am not nearly as organized as the first year, I am doing so well. I treat the entire process as a game. How much can I save? What percentage of my bill can I "pay" for with coupons. It amuses me. Plus, I love being able to make donations to my local food banks. Baby formula is my personal favorite donation item. It's a personal quest to get as much of it as I can for free. That stuff is expensive and I just don't think innocent babies should suffer from lack of family funds. I have decided to finally sign up for a community garden plot this year. 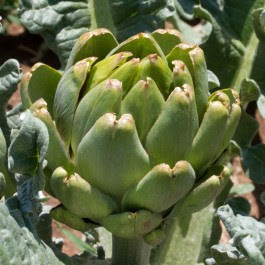 I've dreamed about growing an edible garden since I was a very little girl. But my dad never let me grow things growing up. He's an incredible landscape architect and my vegetable fantasies never blended with his award winning landscape dreams. And since then, I've lived in small city spaces. So this year, I am going to take a chance and join a community garden. I am having this most fun shopping for seeds. I am buying all the weird things. Because that just sounds like the most fun way to approach this little project. Expect an abundance of garden posts, likely including stories of my garden fails, this August. 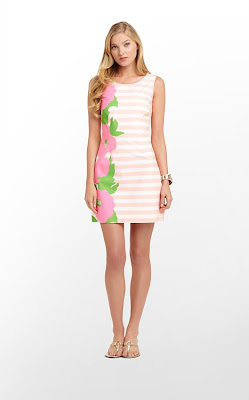 I am not as in love with the new spring Lilly Pulitzer line as everyone else is. Once again, too trendy for my taste. 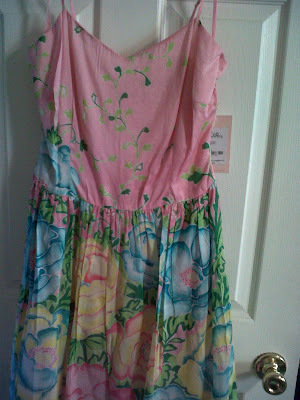 But there are a few pieces I do really love. And the Delia is at the top of that list. I can't wait to get up to Saratoga soon to try it on. Though...with seven inches of fresh Nemo snow, it's hard to wrap my mind around wearing this any time in the near future. I've never actually bought or sold anything on eBay before. I may have to get on that! I've been doing the same thing, my closet really needed cleaning out as did my jewelry collection. I'm getting annoyed with non-paying bidders, I don't know why Ebay doesn't get tougher on them. I've got one right now that I'm going to file on before the day is out. If you can't pay for it, don't bid on it! Good luck with your sales.